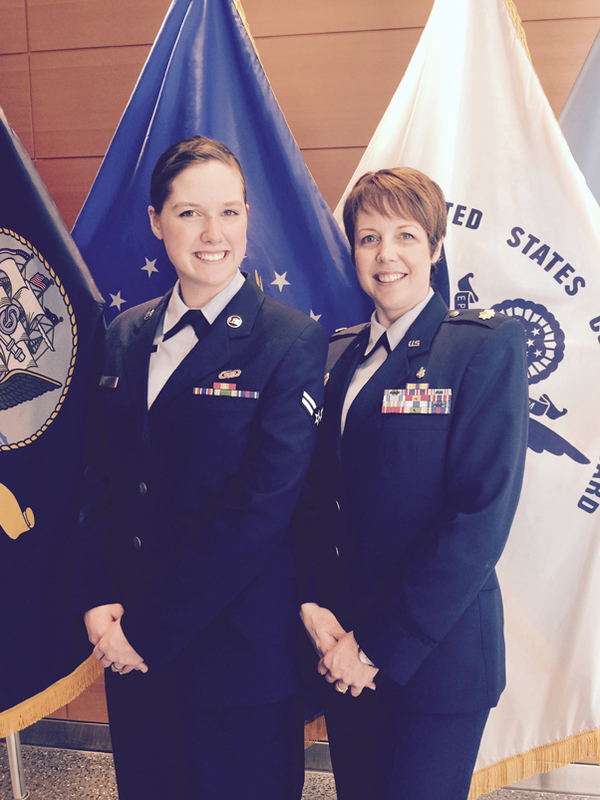 Then-Airman 1st Class Kara Watts and her mother, Maj. Tobie Wethington, attend the Air Force surgeon general’s promotion at Defense Health Headquarters in Falls Church, Va., in 2015. 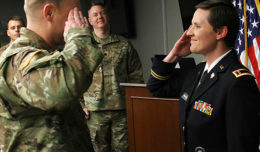 Watts, now a senior airman and a 66th Comptroller Squadron administration specialist, and Wethington, an information management information technology fellow at the Defense Information Systems Agency, are both active-duty Airmen. HANSCOM AIR FORCE BASE, Mass. 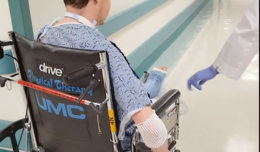 (AFNS) — When Senior Airman Kara Watts was a college student and searching for inspiration, she said she only had to look as far as her mother’s military service. Now, Watts and her mother, Maj. Tobie Wethington, an information management information technology fellow at Defense Information Systems Agency, are both serving on active duty. Wethington’s career began with her enlistment on Christmas Day 1991. She then spent nine years on active duty before transferring to the New Mexico Air National Guard. After 9/11, the then-staff sergeant said she decided to continue her career on active duty. Armed with a bachelor’s degree, she was commissioned in 2002. Now, she calls herself a proud mom. “I am honored that my daughter would choose the same path that I chose,” she said. The mother and daughter Airmen are not the only ones in the family who have served in the military. “Each of my grandfathers served in the military, as well as my uncle who recently retired from the Air Force,” Watts said. It’s her lineage that the 21 year old taps into when faced with a decision regarding her career. Watts said that special bond with her mother became apparent early in her Air Force career. For her mom, it was a different milestone in the young Airman’s career that stands out. The accomplishments are many. Watts has served as the Patriot Enlisted Association president, is a member of the Patriot Honor Guard, serves as secretary of a local Toastmasters chapter, helped organize a book drive for the underprivileged, was a project officer for last year’s Women’s History Month and has volunteered in the local community. Watts said it’s very comforting to know that she has such a supportive family. “It makes me proud of myself to know that I am following in the footsteps of my family, and that every time I put my uniform on, I’m not only representing the Air Force, but I’m representing my family,” she said.